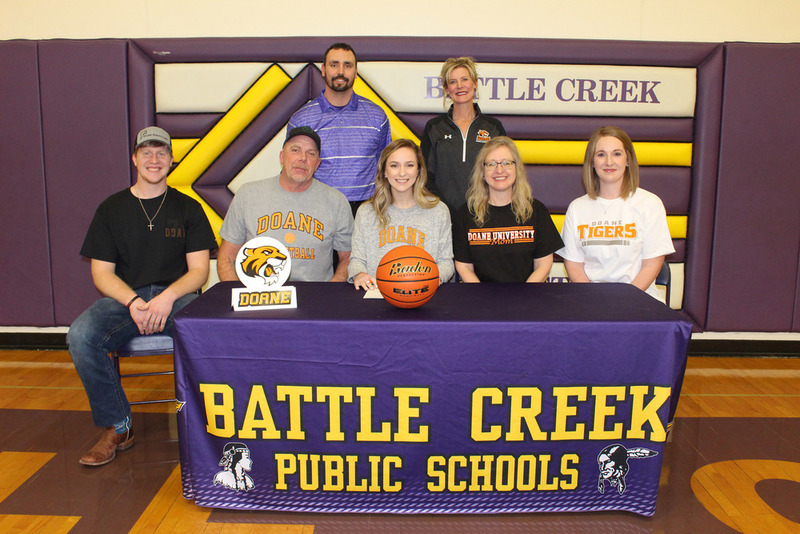 Congratulations to Tessa Kruger who signed to play basketball at Doane University in Crete. She plans to study art education. As a senior at Battle Creek, Kruger served as one of the team captains. She earned varsity letters during both her junior and senior seasons and was named Most Improved Athlete of the Year following her junior season. Kruger is the daughter of Greg Kruger and LeAnn and Jerimie Frauendorfer.